What's the advantage to the Bowflex home gym over free weights? How are the Bowflex Power Rod® home gyms and the Bowflex Revolution® home gyms different? Is the Bowflex home gym better for women or men? How long does it take to put my machine together? What are the dimensions of a Home Gym? With a Bowflex® home gym, you don't have to lift a 45 lb plate to get 45lbs (20.4 kg) of resistance. The resistance has very little inertia, which promotes a safer workout than free weights. You would need a room full of free weight equipment to match the number of exercises that can be done on the Bowflex® home gym. 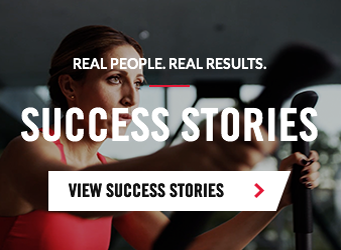 The Bowflex® home gyms offer resistance from the start to finish of each exercise. Bowflex® Power Rods® feel very much like free weights or dumbbells. Power Rod® resistance is progressive, meaning that the more you flex the rods, the more weight you are displacing. On Bowflex Revolution® home gyms resistance is linear and gives the feel of plate-loaded machines, but eliminates the bulk and weight. The Bowflex Revolution® unit also has more adjustability of starting locations and incorporates about 10 inches (24.5 cm) of additional cable travel. Both technologies use resistance strength training which is what makes Bowflex® home gyms so effective. We provide detailed instruction manuals with every machine. The assembly time depends upon the model. Most often assembly takes 1 to 3 hours. Please see the "Full Specs" pop up on the product page of the model you're interested in (Revolution, Xtreme 2SE).